Today I began shooting a short film titled “Sintroduction.” This story follows a troubled man given a second chance after witnessing something unthinkably heinous. Above is a screen grab from a shot outside the jail. In the orange jumpsuit is first time director Willy Ramos (tattoos are makeup) making a cameo. The short will be released on DVD in April. Today I was shooting B Camera footage under a RedCam, pretty neat. We shot in Downtown Orlando around Lake Eola and it was a beautiful day. 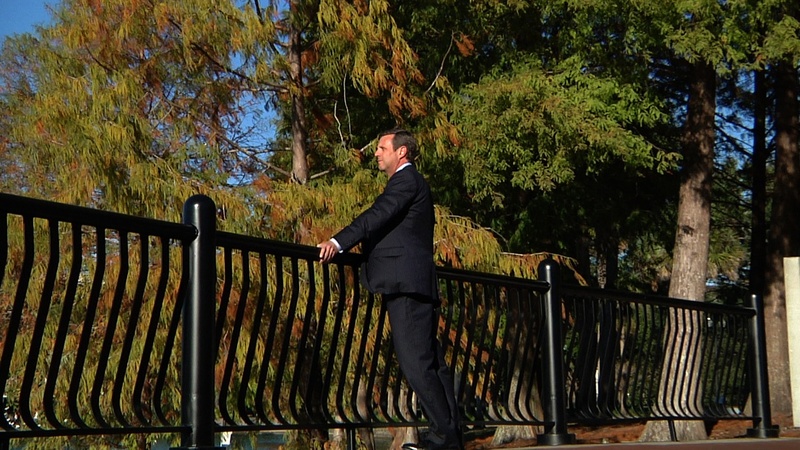 This is a screen grab of the current CEO of SunTrust Orlando looking at the lake.